So this pasta dish is a dish I would like to call "what I have in my fridge". I made it from scratch yesterday, that's right no recipe! 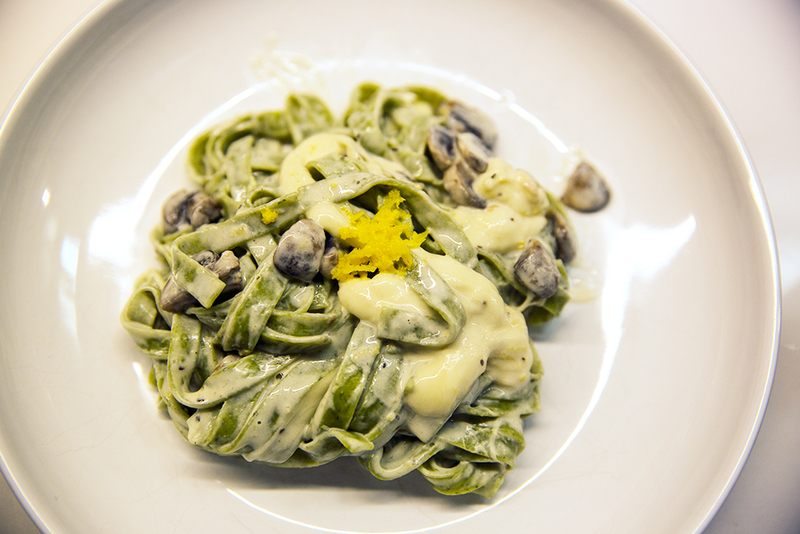 I'll tell you how I made this delicious pasta dish because it's so yummy! Start off by chopping the mushrooms and the garlic. Fry the garlic in the oil and add the mushrooms (I also added a little pepper here). 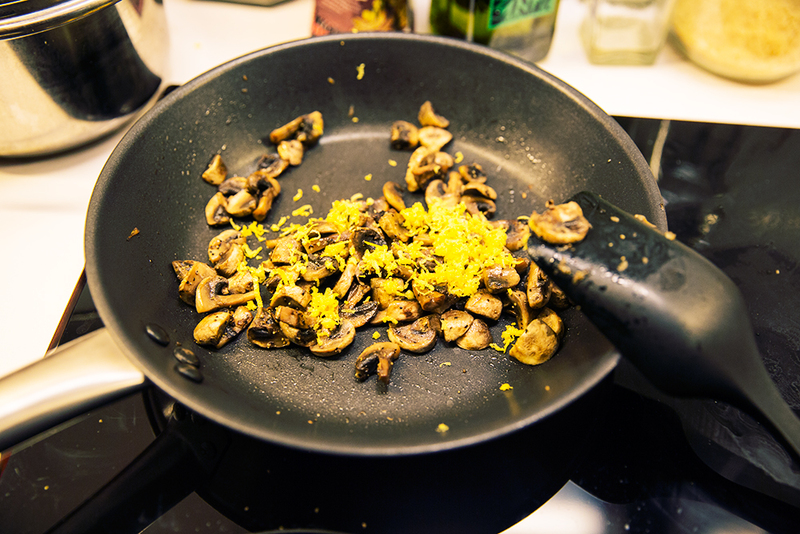 When it's almost done add the grated zest of one lemon, stir and let it fry for a few more minutes. Add the cream and let it simmer under a lid for let's say 10-15 minutes? Boil the pasta for as long as it says on the package, fresh pasta usually need 2-3 minutes. 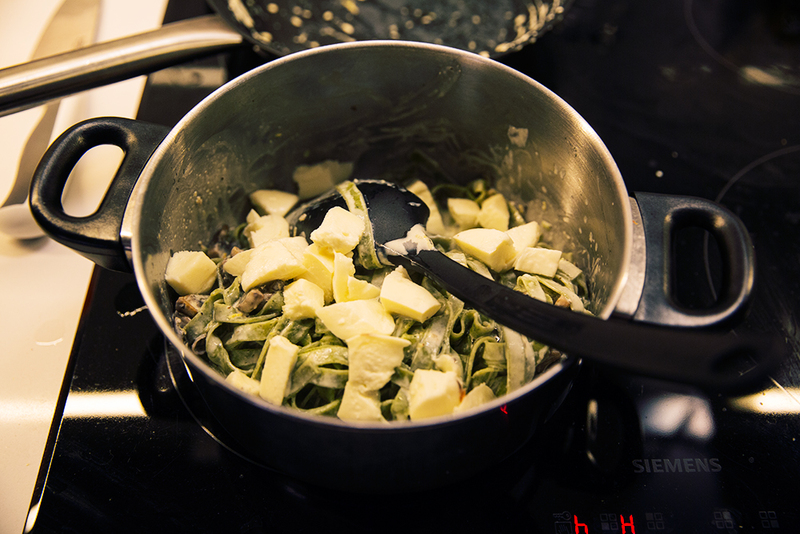 Pour off the water and add the mushroom sauce to the pasta, finally add the chopped mozzarella in the end and stir! Done! Season it with herb salt if needed!